At times like these when the economy is a bit rough we can not but help to think of better avenues to earn more income to supplement our daily expenses. But the thing is not all of us would be lucky enough to go out there and do it right. Some will have to go through difficult times until they hit the bull’s eye and become successful in whatever business endeavor. If there is one business venture you many want to consider pursuing, why not take a look at what wholesale retail has to offer? What makes wholesale retail a business to venture in? To give you an in depth understanding as to why, here are the reasons. First, it is a known business. Wholesale retail is by far a known business that each of us have encountered every now and then. Say for instance, the LED TV that you have been dying to buy. When you go to the shop and buy such TV the store you are purchasing the TV from is what we call the retailer. 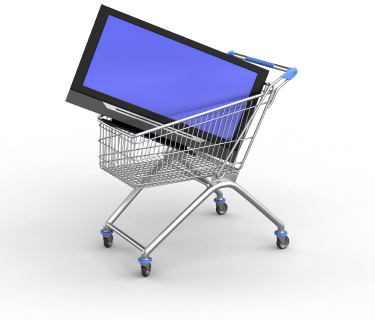 The retailer purchased LED TVs in bulk from the manufacturer or the distributor. Second, it does not need too much of an expertise to run. Basically, what you do need is a little bit of knowledge in the trading or buy and sell business. See how it works and try to study the business a little bit more that’s it. You do not need to be an expert of a certain field like I.T. or other stuff in order to make sure that you do get the desired profits. Third, ROI will be seen after couple of months. When it comes to business it all boils down as to when are you going to get back the money you have invested or the ROI. Most certainly, it would be within the first 6 months or 1 year before you can start seeing profits pouring in like nobody’s business since money comes in and out so fast you do need to come up with good decisions the fastest as well. There you have it three reasons as to why venturing into wholesale retail is such a good idea and could be a profitable business for you to run. Like any other business you do need to put your mind into it, see everything is well-planned and laid out, then go for it if you see some potential.